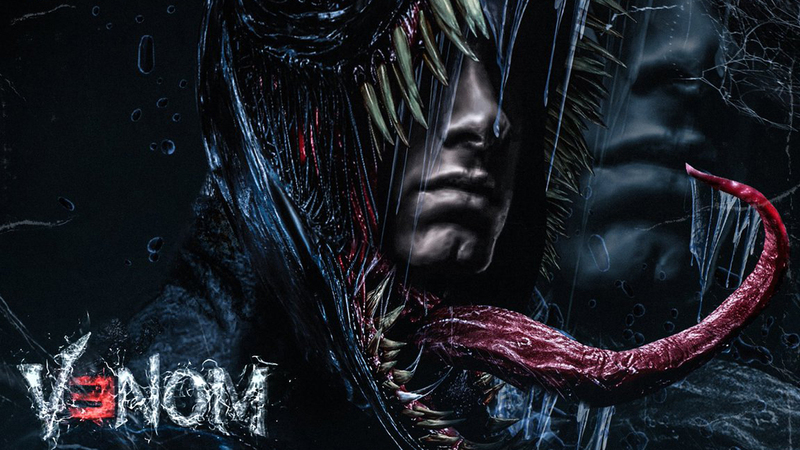 From out of nowhere, Marshall Mathers, aka Slim Shady, aka Eminem teased on Thursday his involvement with Sony’s Venom by tweeting an image showing his trademark backwards “E” in the movie logo and the simple message: .@VenomMovie. Intrigued fans did not have to wait long to find out the connection as Eminem released the following day “Venom,” the 13th track off of his 10th album Kamikaze, which will be the main title song on the movie soundtrack. Listen to the entire track for free below, but be warned: it is definitely NSFW. Venom was directed by Ruben Fleischer (Zombieland). Scott Rosenberg and Jeff Pinkner wrote the first draft of the script for Venom, with later versions by Kelly Marcel and Will Beall. The cast includes Tom Hardy, Riz Ahmed, Michelle Williams, Jenny Slate, Reid Scott, and Scott Haze in as-yet-unrevealed roles. Woody Harrelson is also rumored to have a major role in the movie as the homicidal symbiote Carnage. Movie looks great and I am jacked about Eminem being part of it! Very tight!